As a provider of home care for seniors, it may not be appropriate for you to take care of any aspect of your client's finances. If you're worried your client is getting taken advantage of, it's best to get the family involved. 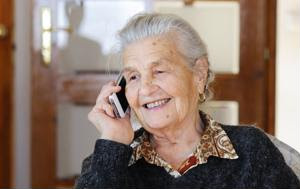 You and the family should open up a conversation with your client about common scams and how they target seniors specifically. Make sure they know never to give any credit card or unsolicited social security information over the phone or online, unless they're absolutely sure the recipient is legitimate. The more your client knows about scams, the easier they'll be able to spot one. If your client has a landline, talk to them about switching over to a cell phone to limit the number of unsolicited calls they're getting. If the client or their family doesn't want to switch, ask them to consider adding your client's number to a do-not-call list on donotcall.gov. During day-to-day care, if you notice your client seems interested in signing up for or sending money to a shady service, talk to them about it. If they are stubborn, ask the family to step in and help.